Anita is always full of great information. Shes really good at reading POI feelings. Thanks for the update. Please arrange calls between 10 pm and 2 am I'm here and ready...otherwise my listing will say offline...Love to hear from you. 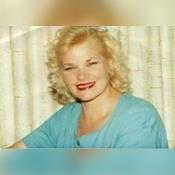 Hello, I'm Anita, I've been Helping other's with my Psychic Abilities for over 34 plus years. I'm Happy to be able to help you in ALL Area's of your Life. I use My Clairvoyance, Tarot Card's and Astrology. The Cards act as a focal point, Helping with My Gifts. Let me Help you get in touch with your Guides and Angels! I've Taken Many Workshop's in Tarot, Palmistry, and Astrology, and I have in depth education in Psychology, and Astrology/Parapsychology( The Study of ESP and other related Psychic Phenomena). I've Studied under the Best Psychic's in the Bay Area, During 1978-81. I'm here just for you.....so, Let's Talk... I'd love to hear from you.... Light and Love to you! Magikal2004 has been a user of Keen since 2002. Getting Tarot Readers advice from Magikal2004 through www.keen.com is safe, secure and confidential.